lindsay and i are super excited that our "likes" on facebook have been increasing and feeling pretty pumped about all the support. it's been great getting our friends involved and hearing about all of your suggestions. PLEASE keep them coming, and we will do our best to write the posts that you want to read. i've definitely been slacking on working on those, but it's only because we are planning for some major blog changes! and because we know how hot all of you are, we would love it if you could send us pictures of fashion trends as worn by yourselves, your friends, your family members, your neighbors, your pets, or the people you stalk. this way we can give you guys celebrity examples of trends plus regular (normal?) people examples. 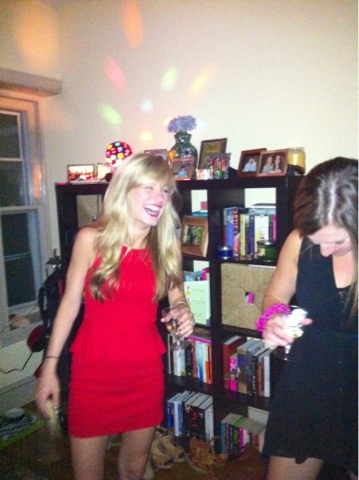 Lindsay is definitely having alot more fun in her peplum dress!